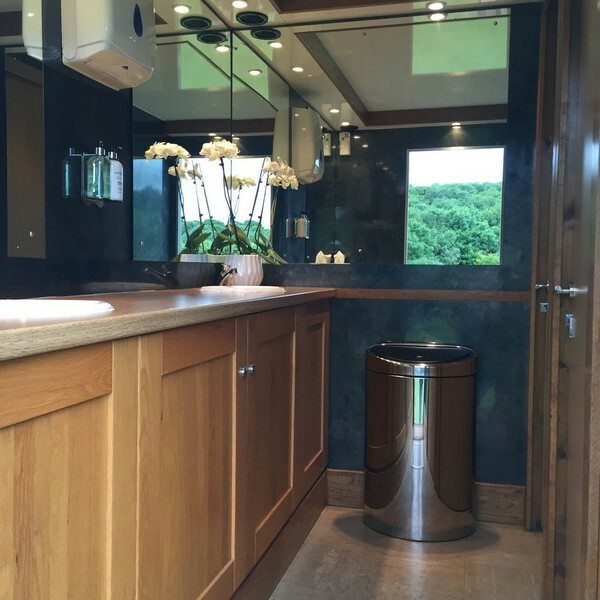 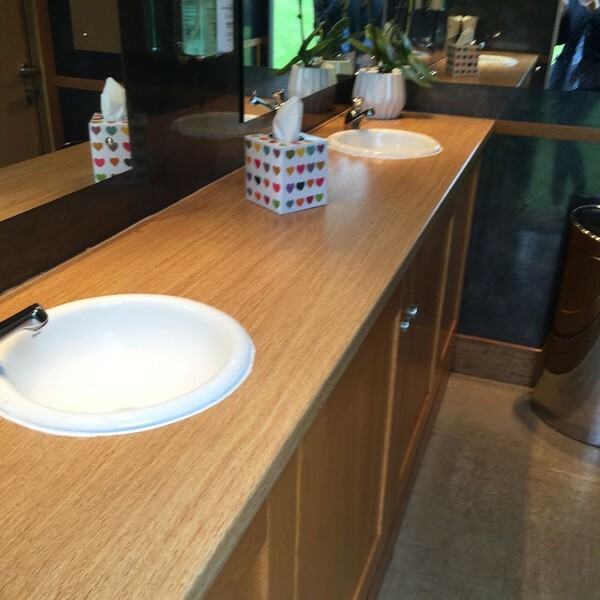 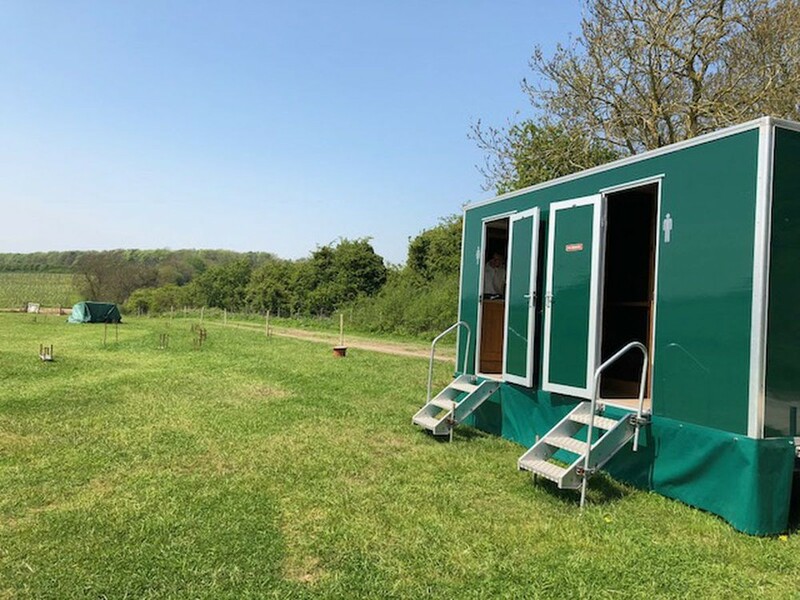 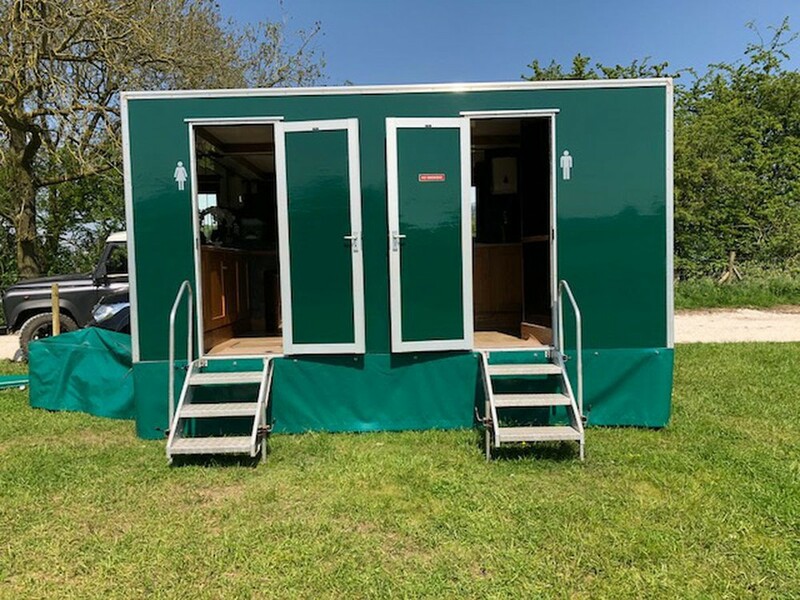 This unit has a separate ladies and gents - the ladies consists of two cubicles with a separate vanity area with two hand wash basins and large mirrors, and the gents consists of one cubical, two urinals, with a separate vanity area with hand wash basin and large mirrors. 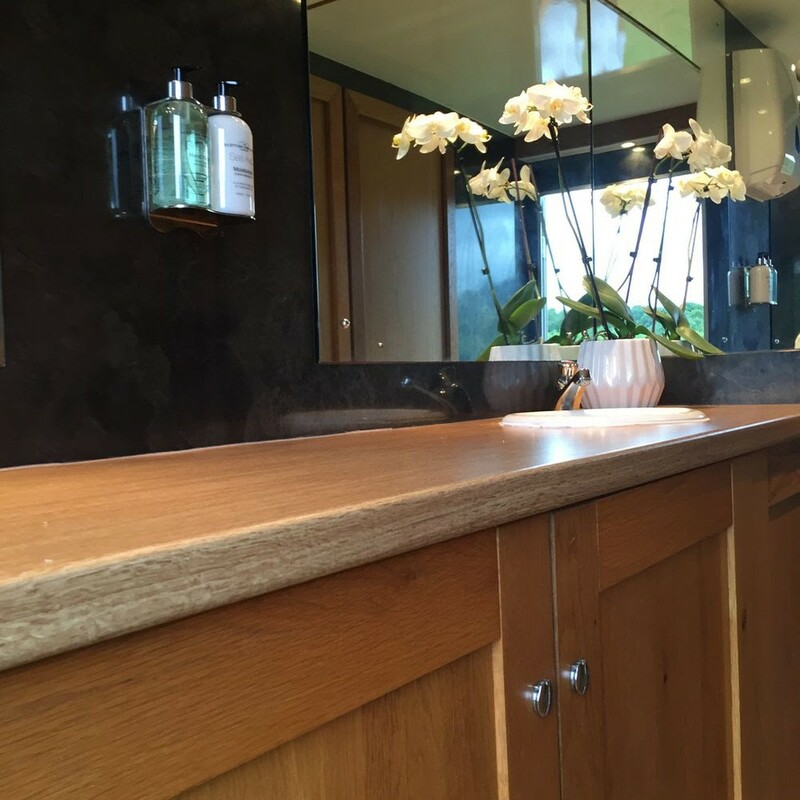 Black marble effect walls, oak effect laminate worktops. Ready to go out on hire. 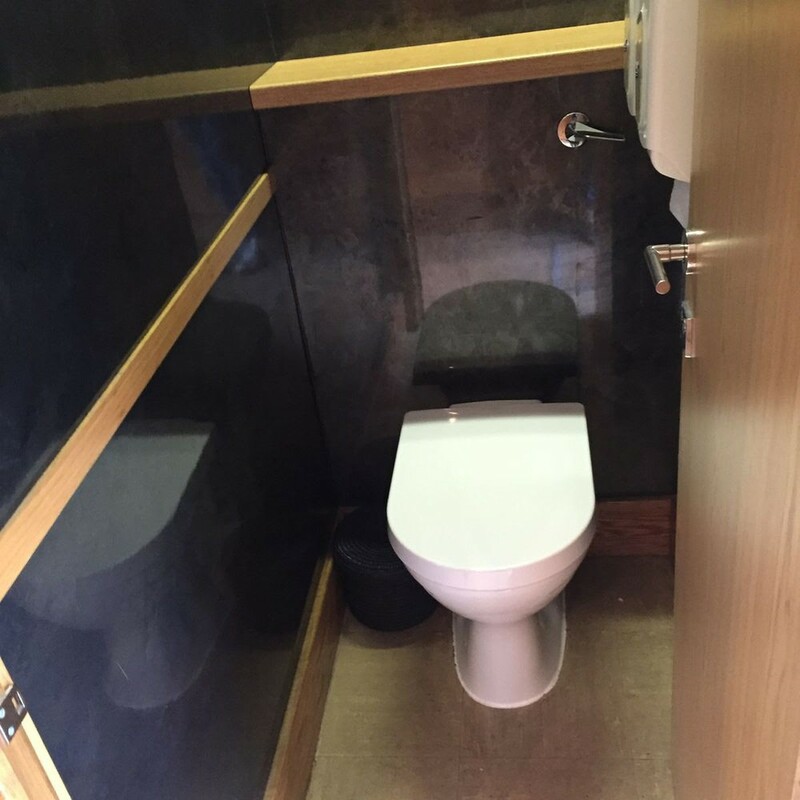 Perfect as starter unit or to add to existing stock.